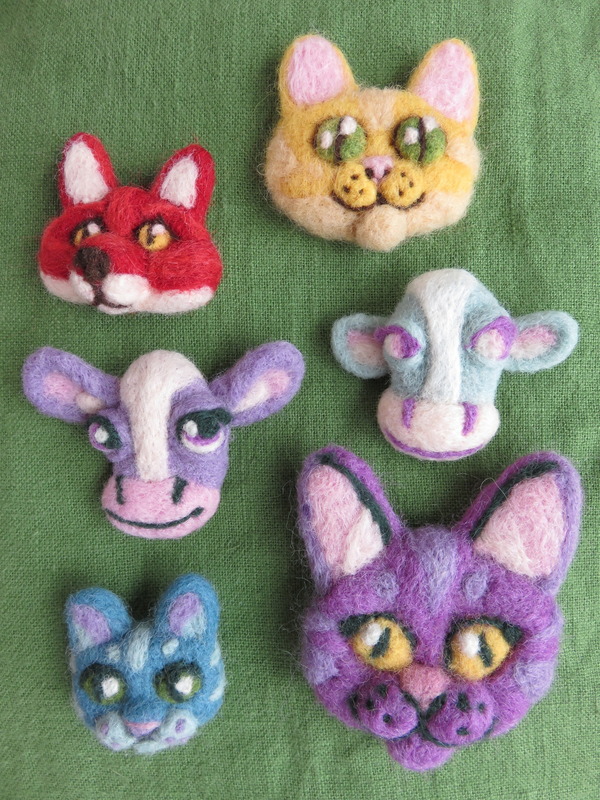 I'm getting back into needle felting (and Craftster!) after a fairly long hiatus. This week I decided to try my hand at some little animal faces, inspired by an old rabbit-fur cat's head brooch that I inherited and love. I'm planning on putting some brooch backings on some of these. The purple cat's head is the largest, but most are around 5 or so cm long.